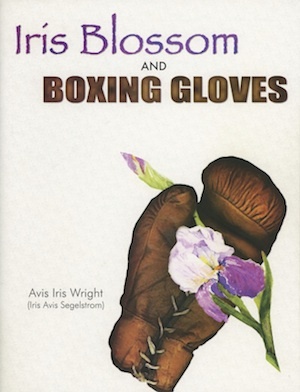 Iris Blossom and Boxing Gloves, written by Avis Iris Wright (Iris Avis Segelstrom), is a series of essays that tell the story of life for siblings Iris, Bruce and Alfred Segelstrom living in separate cottages at the State Public School Orphanage at Owatonna, MN in the early 1940s. The Segelstrom family fell on hard times after the Great Depression and a series of unfortunate events led to the three of the youngest children being taken from their parents and sent to live in the orphanage. The author shares her memories and those of her siblings in their own words. Their stories will touch your heart. Of particular interest to Maud Hart Lovelace fans, is that Alfred Segelstrom was adopted by Frank and Helen (Hart) Fowler. Helen is Maud Hart Lovelace’s youngest sister and the character of Margaret Ray in the Betsy-Tacy books. “Bruce and I were invited to visit Alfred and his parents, Frank and Helen Fowler, at one time. I still remember seeing a movie. “Ah! Sweet Mystery of Life at Last I Found Thee” was the theme song. (ed note: this movie was Naughty Marietta from 1935). Helen Fowler was later diagnosed with multiple sclerosis, and she and Frank moved to Florida and then to California. 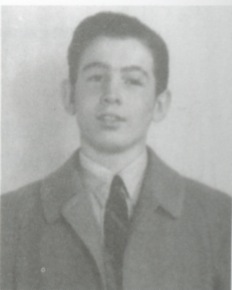 When they moved to Florida, Alfred (age 15) went to live with Frank’s parents in Minneapolis and finished high school. If interested in this book, please contact the author to order a copy write: Iris Wright, 302 Bench Street SW, Chatfield, MN, 55923. Several living history actors pose in front of the memorial after the ceremony. Photo by Brendon Schrader. Maud Hart Lovelace, grew up several blocks from Lincoln Park. In an article written for the “I Remember Mankato” series published in the Mankato Free Press in 1952, Maud wrote, “As we grew older we made more trips downtown, pausing to play by the fountain at Lincoln Park or rest under the big elm there.” The little park and the fountain was an important landmark in Maud’s Betsy-Tacy books. 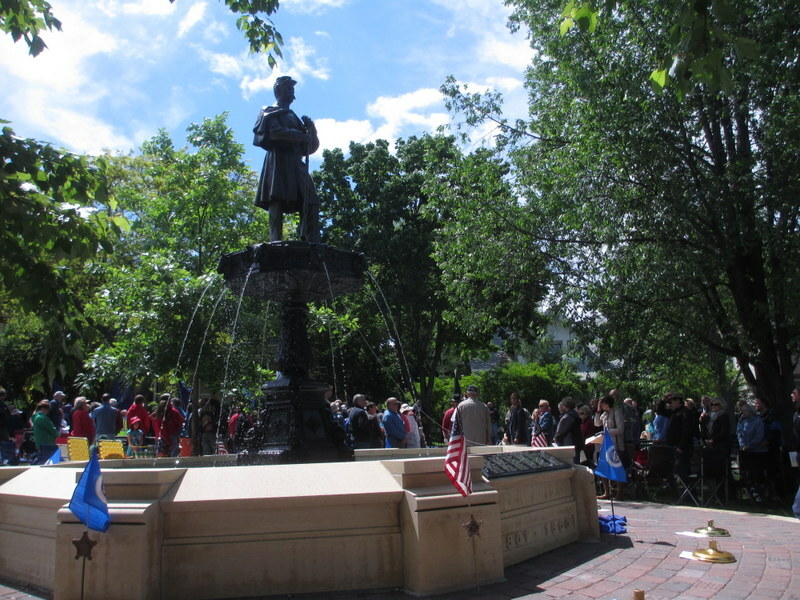 The memorial fountain had long been gone from Lincoln Park, but on May 30, 2015, a replica of the fountain Maud Hart Lovelace referred to in the Betsy-Tacy books was dedicated to the memory of Blue Earth County Civil War Union soldiers. Hundreds of people packed the little park for the ceremony and to witness the unveiling. The ceremony, planned by the Boy in Blue Memorial Project committee members (of which I am a proud member), closely followed the original dedication ceremony that occurred on May 30, 1893 when Maud was just one year old. Imagine, Mr. and Mrs. Hart probably attended with their two young daughters, Kathleen and Maud. A military parade began at the corner of Lewis and Center Streets in front of the Betsy and Tacy houses and marched to Lincoln Park. Costumed Civil War living history members from the 1st, 2nd, 3rd and 5th MN Volunteer Infantry Regiments and the New Ulm Battery were led by a fife player and drummer. They were followed by veterans from subsequent wars and the Daughters of the American Revolution. 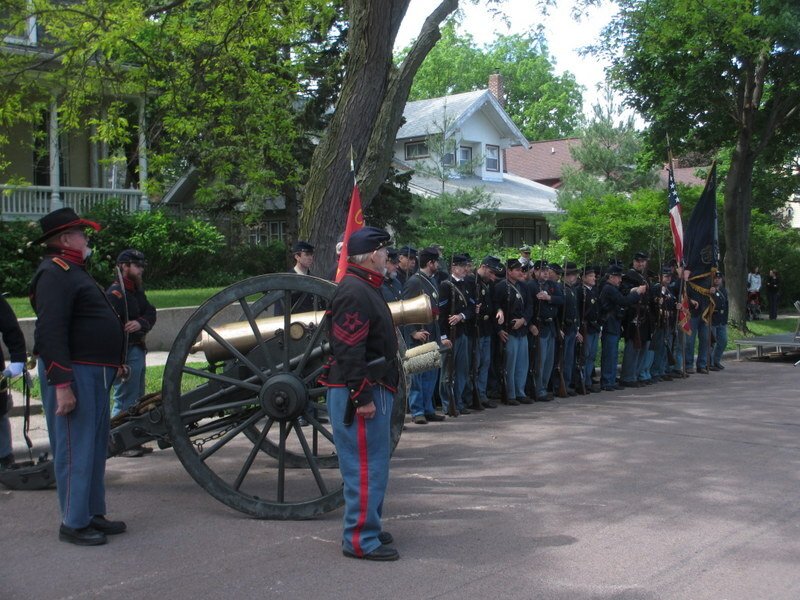 Civil War era patriotic music was played by Schell’s Hobo Band Quartet, and soloist Barb Dunker and the Mankato Children’s Chorus sang several songs that were performed at the 1893 ceremony. Following several speeches, the red, white and blue drape was removed from the Boy in Blue statue and the water began to flow from the fountain. 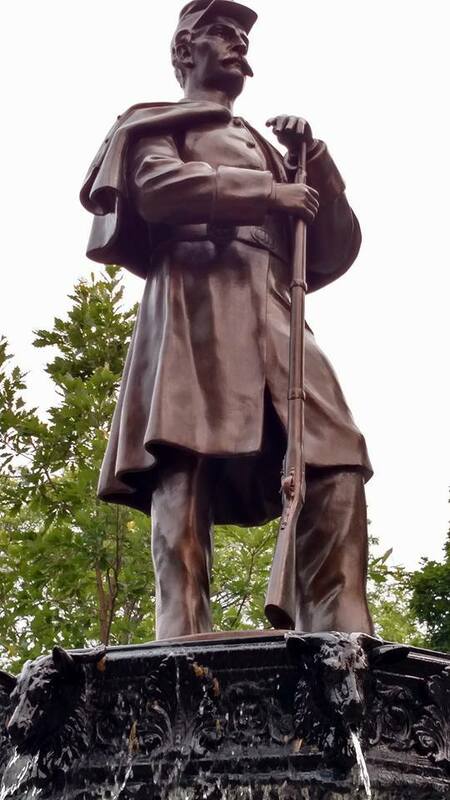 Nearly 100 years later, the “Boy in Blue” has returned to his post in Lincoln Park. A paver walkway surrounds the fountain pool. Engraved pavers will continue to be sold until the walkway is filled. The Betsy-Tacy Society purchased a paver in honor of Maud’s grandfather, Solomon Palmer, a Civil War veteran. All funds raised continue to go toward the cost of the memorial and future maintenance. For more information about the project, visit www.boyinblue.org or to see more photos go to www.facebook.com/BoyinBlueProject. Living history actors at the dedication ceremony.